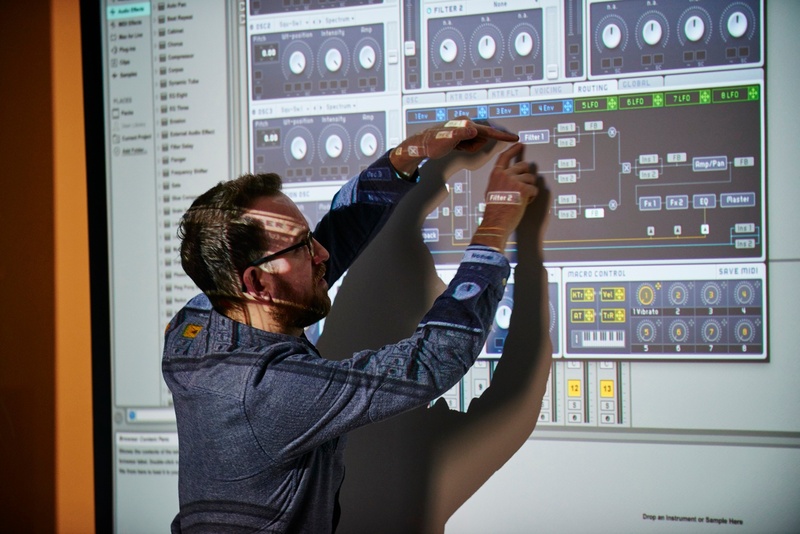 Nick Lawson is the Programme Leader of the Electronic Music Production degree course in Bristol. Graduating from a degree in Music Production with First Class Honours he now has 10 years of experience teaching music technology and is currently working towards a postgraduate degree inElectronic Music Composition. Nick is a very experienced producer of electronic music releasing on a number ofphysical and digital labels including Visionquest, Morris Audio, Boe Recordings, Fear of Flying and Star Dub. When there's a delivery of vinyl arriving in the Bristol staff, most of the time it's a slice of hard to find Techno that Nick has ordered. His DJ career has taken him to many venues across the country and internationally, including Fabric (London), Arma17 (Moscow), Gottwood Festival (Wales), Field Maneuvers Festival (Oxford), Club Der Visionaere (Berlin), Suicide Circus (Berlin), Kater Holzig (Berlin) and many more. Like most of the students and staff at dBs Music, Nick is a gear head and combines hardware and software for both his own work and in his teaching, with students encouraged to push the boundaries of live performance in Electronic Music. Discover the dBs Music Electronic Music Production degree and find out more about how our tutors and facilities at dBs Music can help you become the very best producer and artist you can.